Studying abroad is an exciting challenge，any student would want to boast of, irrespective of race, nationality, age or culture would like to partake in. Exciting, due to the thought of being away from home and experiencing new and diverse cultures and overwhelming as well because of the idea of being far away from family and friends and fitting into a new society. Countries like China and India have emerged as very popular destinations in Asia for students who want to study abroad, due to their excellent teaching facilities and ever improving teaching methods. China to be specific, has been one of the most patronized destination for student mainly because of their affordable fee structure and excellent facilities, hence expats from all over the globe come to china to study. Saudi Arabia (KSA), an Arab state in Western Asia also boasts of its student network in the rapid transforming Chinese education system. 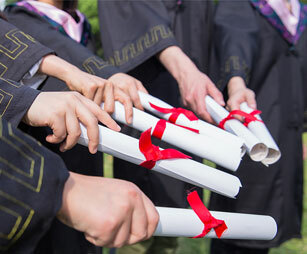 The application process for Saudi Arabian students is the same in terms of submission of document to the desired university as students applying from elsewhere. However, the Chinese Embassy in Saudi Arabia has enlisted into companies: the Chinese Competitive Spirit Co. and Al Sandross International Est., to which applications have to be submitted to teach the Chinese Embassy, which would finally and review student’s application. The universities that we represent are recognized by the Saudi Commission for Health Specialties (SCHS) and are therefore recommended for students who would finally write licenses exams upon graduation. Rest assured, there are a number of Islamic restaurants and mosques where you can enjoy your halal meals and pray. Admissions are opened from March through till all seats are occupied: better be the first to apply.